Two new cases of trafficking large amounts of illicit substances in early December 2018 were added to the tally in the Charlotte, NC, area, where there have been a shocking number of similar crimes in the past year. In this case, officials made major busts on back-to-back days, seizing $34,000 worth of marijuana one day and over $110,000 worth of drugs the next. These are victories for drug enforcement officials in Charlotte but part of a troubling trend. Less than a month before these latest seizures, two Jamaican nationals were caught trying to smuggle cocaine in their luggage through the same airport. 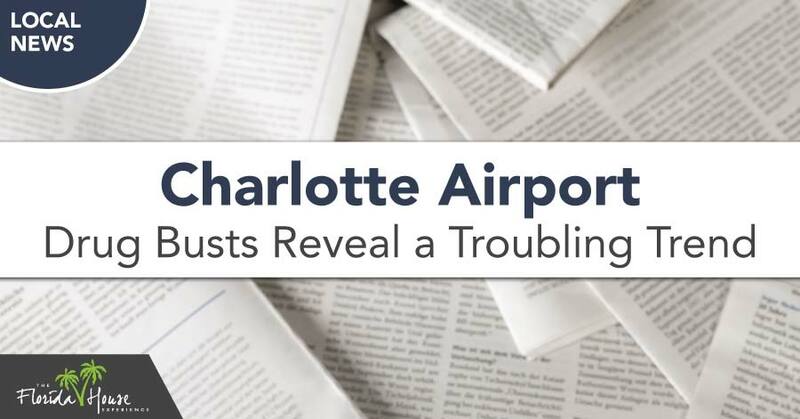 A few months before that, Charlotte was part of a nationwide trafficking circuit, in which airline employees were using their security clearance to smuggle drugs around the country. Sixty-six pounds of methamphetamine was seized in a Texas airport as part of a sting operation by customs and border patrol agents. But is this an isolated trend in Charlotte, or is it prevalent throughout North Carolina and the rest of the country? Digging a little deeper shows that these occurrences are not isolated to Charlotte. In October 2018, four people were arrested for a transaction involving over 3 pounds of cocaine near the Durham airport. In Greenville, east of Raleigh, a man was found trying to board a flight with over 3.5 lbs of marijuana that he claimed was for “personal use.” Incidentally, Charlotte was his intended destination with the drugs. These cases, all in 2018, show that the drug busts mentioned are far from isolated incidents. But are they indicative of a larger trend? As it turns out, trafficking through American airports is nothing new. In early December, three people were arrested after being caught trying to smuggle 150 pounds of marijuana through Logan Airport in Boston. In St. Thomas in the US Virgin Islands, two American citizens tried to smuggle 13 kilograms of cocaine in September. The point is, this happens more often than we’re aware of because drug trafficking isn’t something the average American thinks about very often. These trends have some clear implications in American society. Despite the strides we’ve made in making affordable treatment an option that’s both accessible to more and more people and also more comprehensive, the demand for illegal drugs on American soil is still high. Busts at airports are positive, but we know that even airport security and the border patrol can’t be 100 percent successful at sniffing out traffickers and stopping the flow of illegal drugs in and around our country. These seizures are indicative of a bigger issue: How can we limit instances of drug abuse, knowing what it leads to? Now imagine that drugs are easier to access. Relapse is a lot easier when you come into contact with a source of drugs, which is one of the underlying problems with trafficking. It’s clear that the travelers in the cited cases didn’t take into account the consequences for the actions they took, trying to smuggle drugs in and around airports in North Carolina and throughout the US. If you’re struggling with abuse or addiction to drugs or alcohol, don’t let it go so far that you get in trouble with the law. Contact FHE Health and learn more about the treatment options.